Bloodless, knifeless and painless tonsillectomy! Although a slightly exaggerated expression; "Tonsil Surgery with Thermal Welding System", known as "bloodless, knifeless and painless tonsillectomy", is a tonsillectomy technique that reduces the risk of pain and bleeding after tonsillectomy. 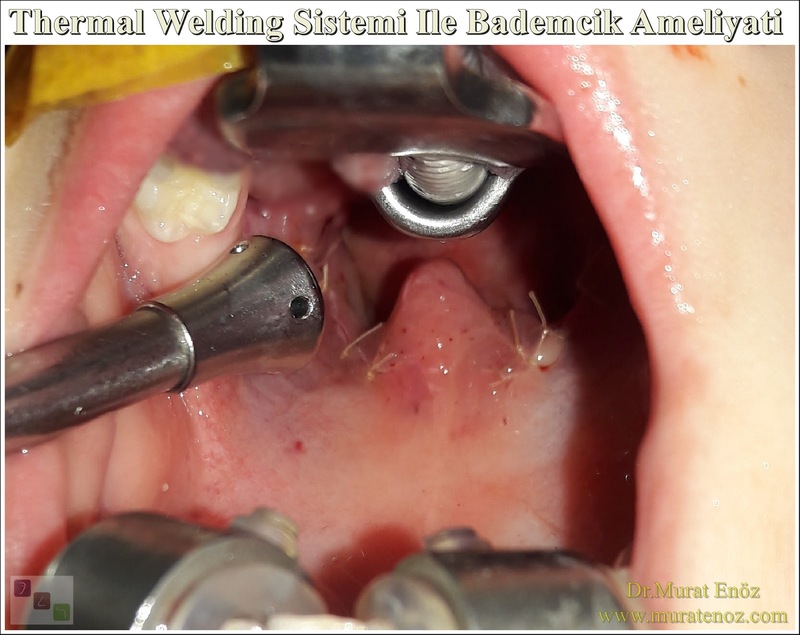 The thermal welding system is designed for tonsil surgery and is designed to minimize mucosal heat damage. The thermal welding system is not suitable for nasal meat surgery (adenoidectomy). Although endoscopic methods have been defined for adenoidectomy; Nowadays, almost all over the world, using the metal tools called adenotomes, the upper part of the adenoid tissue is treated as a scraping process. 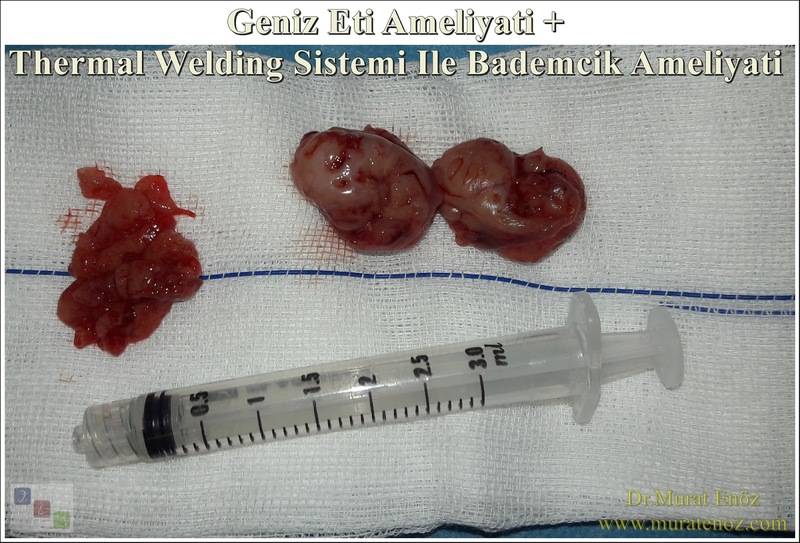 In the following and above images, in a patient who underwent tonsillectomy with thermal welding method and the adenoidectomy operation with the classical method, photos taken before and after the surgery, photos of the tonsils field and removed tissues (nasal tissue + tonsils) are seen. In the photos taken after the removal of the tonsils, the increase in the air cross-sectional area can be easily seen. The small hemorrhage areas you see on the soft palate depends on the local anesthetic injections after the surgery. Tonsil Stone Cleaning" Can Not Be Accepted as Guaranteed Bad Breath Treatment Method Always!